As a Summer Intern with Manna Project, you will embark on a 4-to-8 week adventure working within a community in Ecuador. You will use your energy, passions, and intelligence to contribute to development programs in your area of interest. This firsthand experience will improve your language skills, change the way you see the world, and leave you wanting more! Summer Interns live alongside other young leaders and community members, and are fully integrated into the daily functions of Manna Project’s work on the ground. Weeks are spent collaborating with staff to plan and facilitate programs, while weekends are for exploring. As the days progress, you will develop an understanding of long-term development goals and their implementation. This unique internship program is designed to create the most impactful experience for you and the communities you’ll serve. Summer Interns are equipped and inspired to continue their work in a variety of career fields, including international development and the greater nonprofit sector. Many Summer Interns return to Manna Project as Program Directors in following years. Now Accepting summer 2019 applications! *Nicaragua site will be closed Summer 2019. The position below is for the Ecuador site. 8 home-stay spots left! This means you would not be staying at the Manna Project house, but at a home-stay to further build bonds with Ecuadorians and increased cultural exchange. You would get matched with a local family. Wake up for your new day in Ecuador as an MPI Summer Intern. From the bunkroom, you can see the mountains that surround the valley where we live and work - a beautiful way to start any day! Head downstairs for breakfast and coffee. 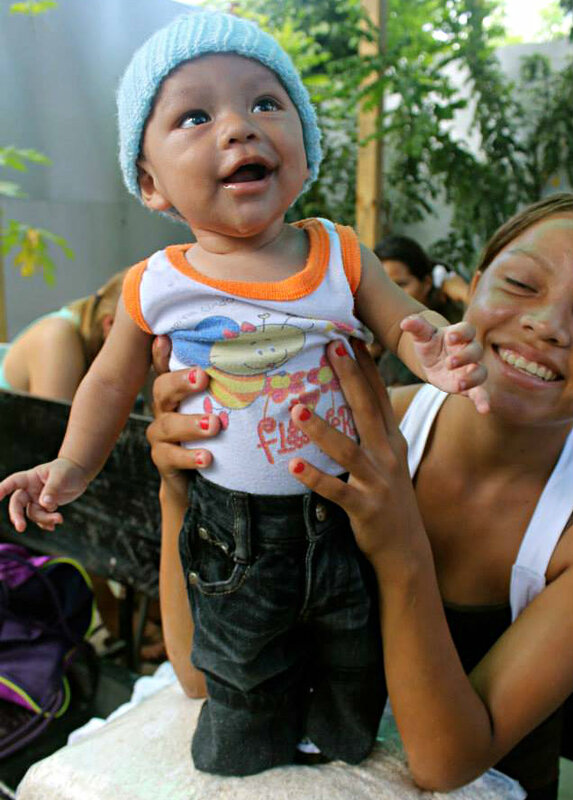 Leave for partner organization Antorcha de la Vida to help with their water therapy program for disabled young adults. Not only will it be fun to take a refreshing dip in the pool, but it’s rewarding and interesting to see how an Ecuadorian nonprofit functions. Arrive in the downtown center of Sangolqui to get ice cream with a Program Director. The best place in town is in the historic center, and soon you'll know the owner well! Eat lunch at the Colombian Almuerzo restaurant with some of our community members. Get ready for rice and seafood or chicken - they have the best lunches in town! Head over to Chaupitena, one of our local partner schools, to lead an English Club with eighth, ninth and tenth grade students. They've loved learning English phrases and pronunciation with Program Directors all year, so get ready to be impressed! It’s time open the community center for the afternoon. You'll find a group of kids waiting by the front door for you to arrive! Plan and execute a fun exercise activity with the kids. Take them out on the field to enjoy the incredible Ecuadorian sunshine and run around! Play the fan favorite UNO with kids in the community center keeping them entertained while teaching them new ideas and activities at the same time. Spend time in the Computer Lab helping kids review homework for their upcoming exams. Ready for dinner? Summer Interns and Program Directors eat together every night, family style. It's a great way to debrief after the day, share stories, and get to know each other better. Time to relax! The MPI house has a projector, so you can watch a movie together with your fellow interns and Program Directors, read, or journal to reflect on your experience abroad. Tomorrow will be another incredible day in Ecuador as an MPI Summer Intern! Get ready for a weekend adventure with your fellow Summer Interns - Ecuador never fails to amaze! Wake up, fully ready to start your day as a Summer Intern. You walk outside of the bunk room to smell of a freshly cooked breakfast from MPI Nicaragua own! Jump on Manna Project’s microbus to head to Villa Guadalupe, one of the two communities that you will work in as a MPI Summer Intern. Once in Villa Guadalupe, you will walk around the community with current Program Directors, visiting families that are part of our Child Sponsorship program. Prepare yourself for many hugs, smiles, and vueltas! Head to Union, one of the grocery stores that you will frequent, to stock up on some snacks for the week! Some favorites among volunteers are cremas, Chex Mix, and Pringles. You might run into some friends on the way home! Once back at the house, replenish your bodies with some lunch! Hope you like rice, beans, and chicken…and some fresh juice! Join some of the Program Directors and your fellow Summer Interns in the community! This is a great time to meet and get to know the people we serve on a more personal level! Walk on over to Chiquilistagua, a public school in the area, to help out our Lacrosse the Nation coaches with gym classes for the fourth and fifth graders. Head on home to the Manna Project house, but don’t forget to look into the sky to see the beautiful sunsets that Nicaragua has to offer every night! It’s time for Camp JAM! There’s no telling what you are you doing today – dancing, painting, jump roping, etc.! Just bring a positive attitude and love for the children, and you’ll be set! Travel to Farito for your last program of the day – English 4! Whether learning about the conditional tense or adverbs, you will be impressed at these students and their level of English! Time to eat some delicious dinner! It’s as simple as that. Now it’s your time to relax. Watch a movie, read a book, plan for programs, or just spend time with your fellow Summer Interns and Program Directors. The night is yours, but get excited for another awesome day in Nicaragua as an MPI Summer Intern! Get ready for adventure this weekend as we head off into the wilds of Nicaragua for some fun! Manna Project equips volunteers with leadership development skills for a variety of career fields, including international development, the greater non-profit sector, law, medicine, education and international politics. You may be contacted for a phone interview within 2 weeks of the application deadline. You will be notified of your acceptance status within 2 weeks of your phone interview. Once accepted, you will have 2 weeks to submit your contract and a $250 deposit to secure your position. Manna Project's Summer Internship is one of the most affordable short-term volunteer options available. Is money the only thing holding you back from the adventure of a lifetime? We are here to help you make fundraising EASY!